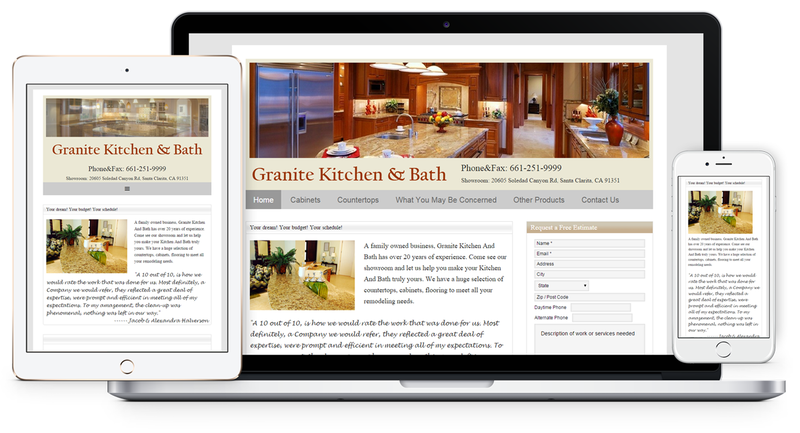 Granite Kitchen Bath Remodel project involved conversion of a HTML website into custom mobile responsive Genesis theme. It features responsive image slider, gravity form to capture user queries, sliding image carousel and gallery sections. Work: Website Design (Responsive, HTML5), Custom Genesis Theme Development, Website Installation, Image Slider, Gravity Forms creation, Image Galleries.